The book is targeted to Children age 7 to 10. It is available in both English and Greek. As the author explains, the way in which the book was written is “reversed”. 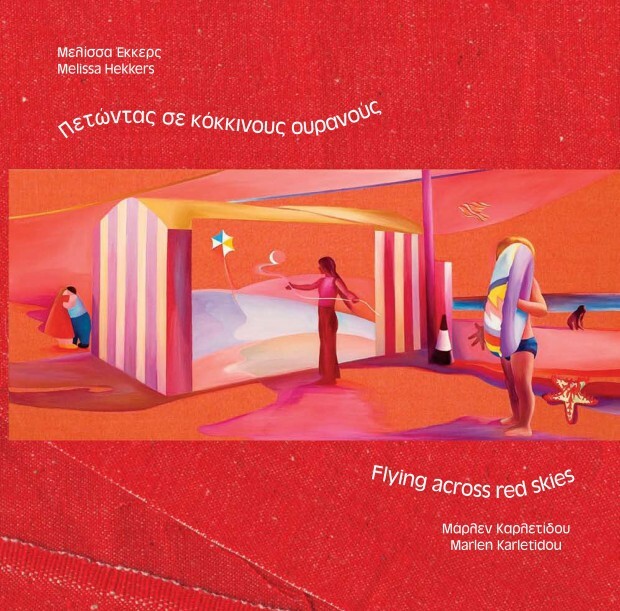 Having taken twelve works of art from the collection of Cypriot artist Marlen Karletidou as a stimulus, Melissa Hekkers created a story based on the existent imagery of the paintings. The story that perhaps already existed as an idea and meaning was shaped through the personal view perceived by the writer. Instead of the visual imagination of the writer being put to words, the feelings imposed by the images, the colours and the order in which the author placed the images came to form a final output. O Νηρέας, ένα αποφασισμένο μικρό ψαράκι, ονειρεύεται ένα πράγμα μόνο: να πετάξει σε ανοικτούς κόκκινους, μεταξένιους ουρανούς. Μια γοητευτική περιπέτεια τον οδηγεί στο όνειρό του αλλά συνάμα του διδάσκει τη σημασία της φιλίας, της οικογένειας και το συναίσθημα να γυρνάς σπίτι.